A new exhibition gives Frank Sinatra fans an opportunity to step into the singer’s life – and even have a go at producing one of his hits. Sinatra: An American Icon showcases his legacy and features never-before-seen photos, family mementos, rare correspondence, personal items, artwork and recordings. 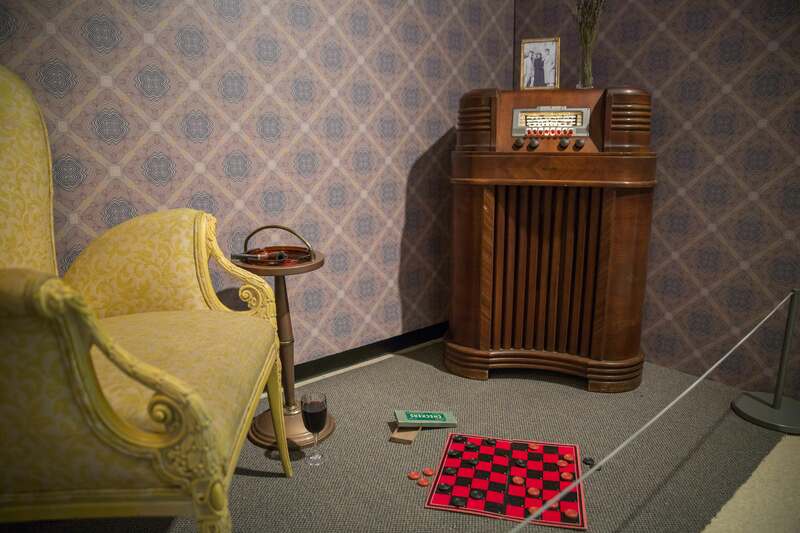 One of the most atmospheric exhibits at the show – which marks the centenary of Sinatra’s birth – is a recreation of the historic Studio A at the Capitol Records Tower in Hollywood, as it was during one of Frank’s recordings sessions in the 60s. 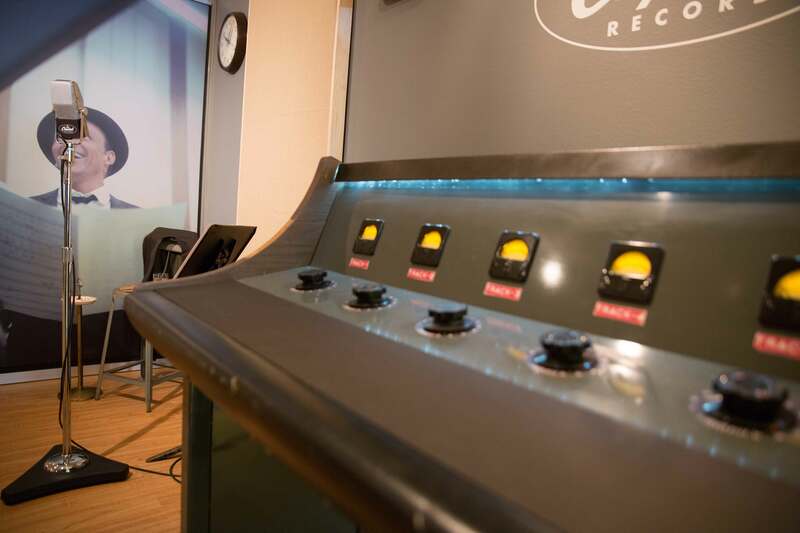 Once inside, visitors can take control of the soundboard to try their hand at producing the arrangement for one of Frank’s classic hits, such as I’ve Got You Under My Skin, That’s Life and Strangers In The Night. 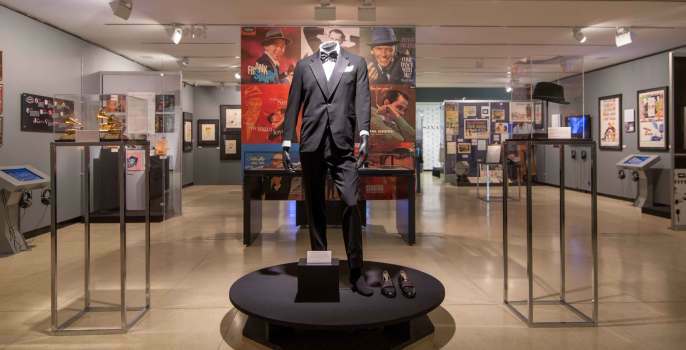 “Sinatra has both a special place in the history of American performing arts, but also a special significance here in New York,” said Jacqueline Z. Davis, of The New York Public Library for the Performing Arts, which is hosting the exhibition at Lincoln Center. You can listen to that song and his other hits on My Way – The Best of Frank Sinatra and go on an interactive Sinatra walking tour, that was specially created by NYPL so that people could explore his favorite spots in Manhattan and New Jersey. 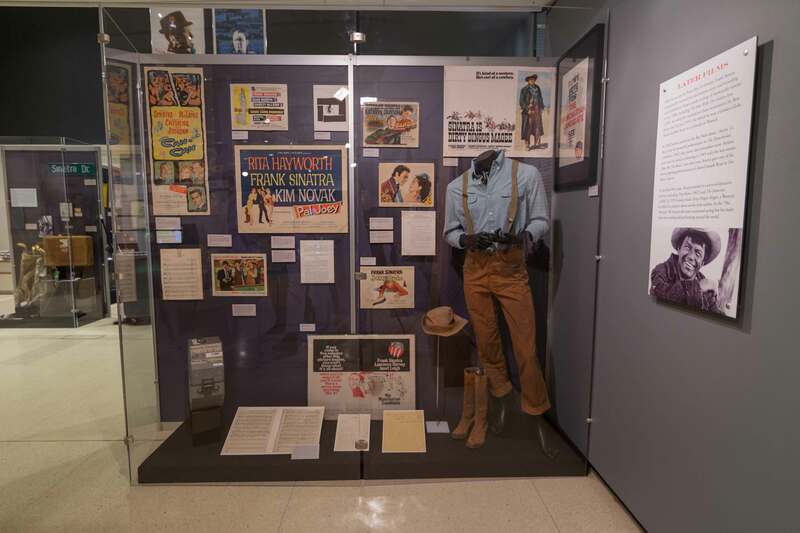 The exhibition uses rare photos, iconic clothes and accessories – many from the Sinatra family’s own collections – to trace his life from its beginnings in Hoboken to the meteoric rise of his music career, his Hollywood success, personal life, and humanitarian work. Alongside exclusive video interviews with Sinatra’s children and grandchildren, are original paintings by Sinatra – which have never been seen in public before – as well as a recreation of his personal art studio, complete with his own paints, brushes and easel. Curator, Bob Santelli, said: “This exhibition examines not only how and why Sinatra has such an iconic place in American musical history, but it will also look at the person behind the icon – his family life, his childhood, and what it was like to know him personally. 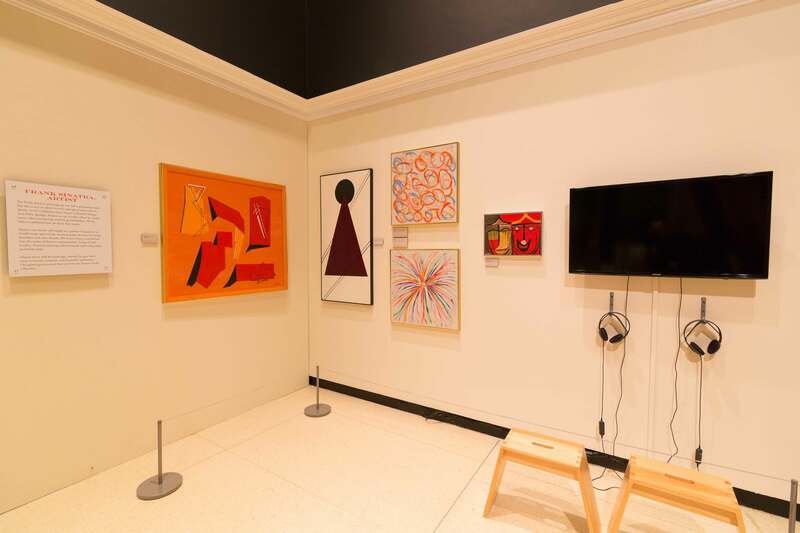 *Entry to Sinatra: An American Icon is free and runs until September 4 at The New York Public Library for the Performing Arts at Lincoln Center in the Donald and Mary Oenslager Gallery, Shelby Cullom Davis Museum.